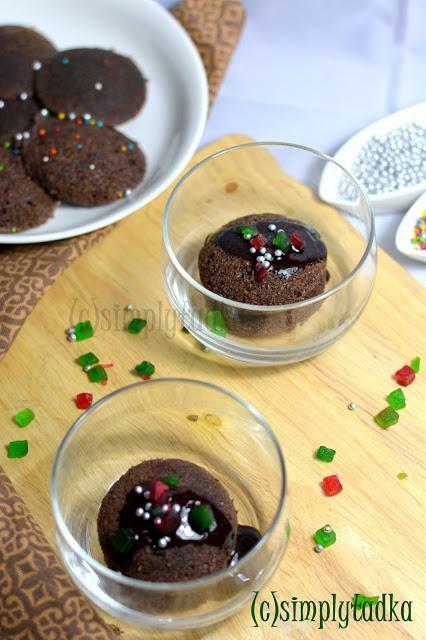 Chocolate idli cake is really interesting and chocolaty recipe for your kids to give them healthy meal in form of chocolate cake. To cook cake in idli plates makes more handy and easy to eat and serve. 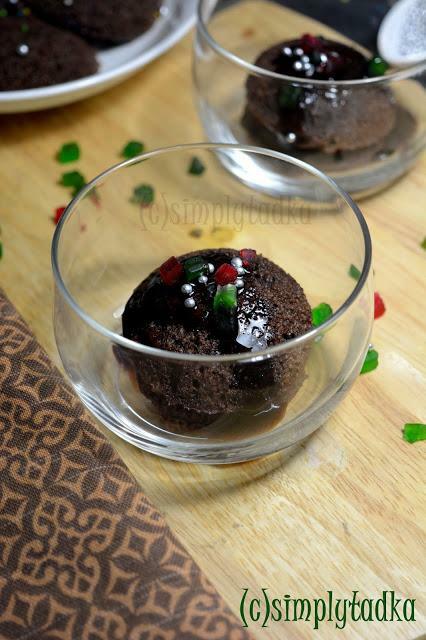 To make more interesting dessert just serve hot chocolate idli cake with oje scoop of vanilla icecream, chocolate sauce and sprinkles. Its a good option for traveling meal or tiffin recipe. 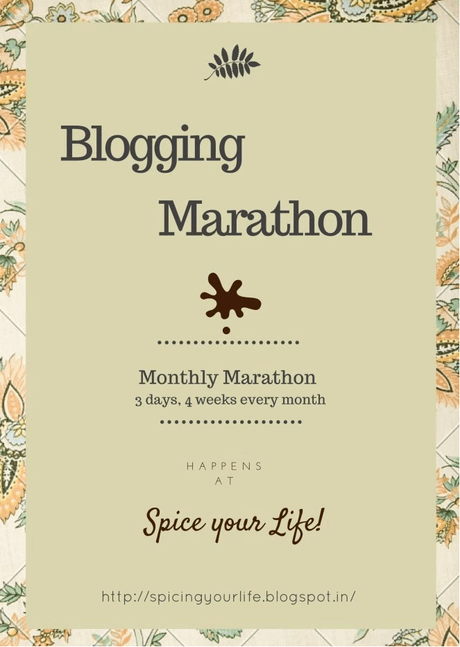 This time i create this recipe for blogging marathon under steam meal theme. 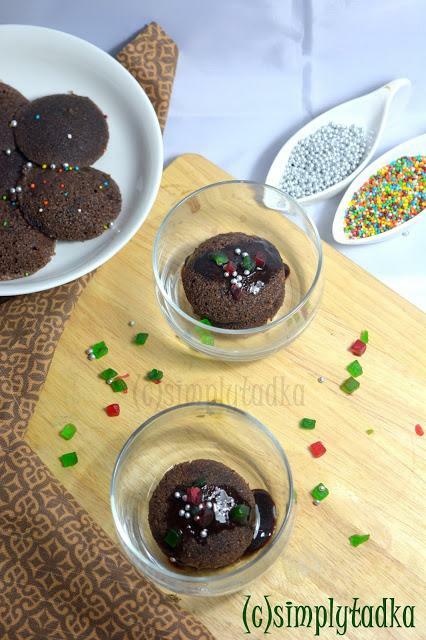 Even my kiddo also love these chocolate idli cake recipe with little rainbow sprinkles makes him hungry. When ever you try this recipe, just adjust the sugar level according to your tastebuds and even you can add normal or castor sugar also instead of brown sugar. Instructions Combine yogurt, sugar and oil together in bowl and whisk well till to smooth consistency. Add milk, essence, semolina, cocoa powder, flour and baking soda and mix well till to no lumps remain. Add tutti frutti and chocochips whatever you prefer and fold it gently. Grease the idli plates and pour the ladleful batter in each mold. Steam it in steam till to cook for 10-12 minutes on medium flame. Remove from the plate and garnish with chocolate sauce and sprinkles. Serve hot chocolate idli cake with vanilla icecream. Tags: how to make chocolate idli cake, idli cake recipe, chocolate idli, steam recipe, steam meal, blogging marathon, snack, healthy recipe, kids recipe, dessert, chocolate recipe, fusion recipe.